WHY do you want to become a Police Officer? Surprisingly some police applicants can be extremely vague about the answer to this question. Yet understanding this question and finding clarity on what benefits you are expecting from this career is a key component to your successful police selection. Plus the journey to the Police Academy and subsequent police career can be extremely challenging and you are going to face some of the toughest days of your life in the days and years ahead. 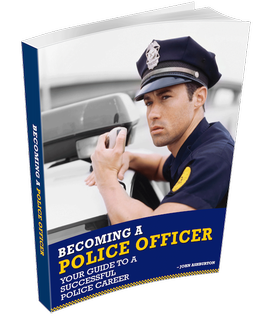 This eBook, ‘Becoming a Police Officer’, is designed to assist you answer this question in detail and set you up for success long into your police career. The great philosopher Friedrich Nietzsche, said “if you have a strong enough ‘why’ you can endure almost any ‘how'”.. This is an INSTANT DOWNLOAD eBook You will get immediate access to your eBook in a PDF format. If you’re not 100% satisfied, simply send us an email within 30 days and we will refund your purchase! ‘Becoming a Police Officer’ eBook expands on the content in ‘Police Exam Foundations’ and includes fun and practical activities as well as simple questionnaires to give you an easy way to organise your thoughts about a police career. This will help you explain to police recruitment officers exactly why you are applying for their particular police service and why you deserve a place on the very next squad. NEW CONTENT: This new version includes a detailed discussion on the attributes of successful police officers and why developing these characteristics will assist you to be selected for the Police Academy and ultimately achieving a successful and fulfilling police career.